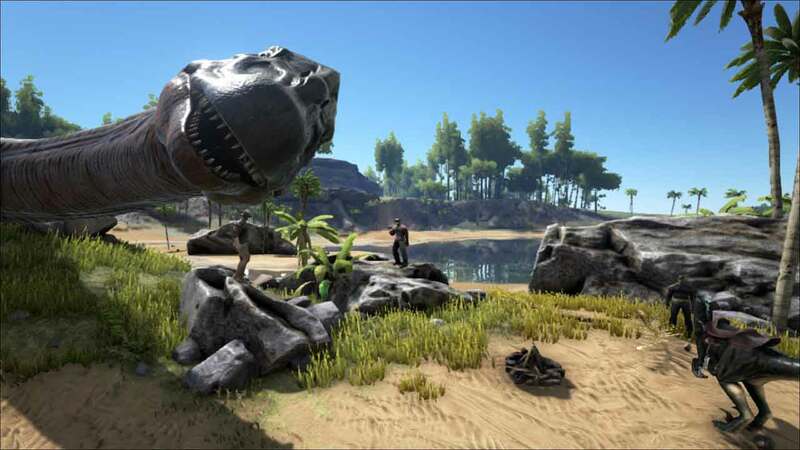 Studio Wildcard today launched a major new content update for the increasingly popular ARK: Survival Evolved, which is now available to download free via Steam. For one week only the Eggscellent Adventure event will be live and offer players limited time content as they collect special Bunny Eggs scattered across the ARK which they can paint or use in special crafting recipes with exclusive Easter themed items such as Bunny Ears or a bunny costume for Procoptodon – it’s not all chocolate eggs and bunnies though so beware of the deadly Bunny-DodoRex that will be roaming the island. The Eggscellent Easter Adventure update also brings with it challenging new caves in the Snow and Swamp biomes. Aimed at higher level players the new caves contain advanced artifacts, high-end loot and carefully crafted clues on the history of the ARK and its purpose. Just be careful you don’t upset the Snow Cave Yetis.